Learn from the best. The training methods taught in the Kyung Mu system have been proven, refined over time, and always evolving. 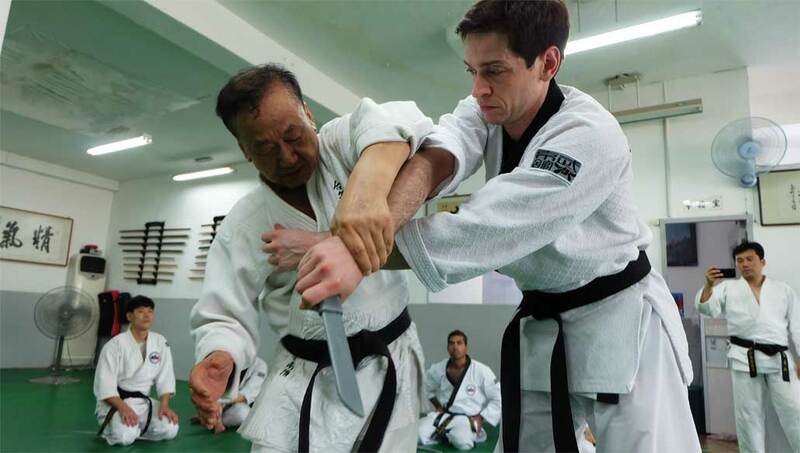 Grandmaster Kim, a long time member of the Korea Hapkido Federation (KHF) technical committee, has perfected the Kyung Mu approach over the last 50+ years. Hapkido in its pure form is graced with a beautiful symphony of techniques but is often smeared by exaggerated showmanship and trainings for demonstrations. We embrace the beauty of the art form while preserving the integrity of the fundamental concepts that brings it to life. Efficiency in simplicity. We believe the legacy of the martial art is bigger than any single individual’s persona or achievements. and non-polarizing martial arts community built on humility, hard work, and respect. Is this a new federation? 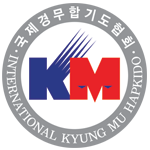 Kyung Mu Hapkido is one of the original Hapkido kwans (families), and has been around since the 1960s. While many of our founding members served at the different times under the Korea Hapkido Federation we have functioned as an umbrella family for many years. The international association was instituted out of a growing request by hapkido practitioners outside Korea looking to join our family. It is headed by Grandmaster Kim, Nam Jai (9th Dan). 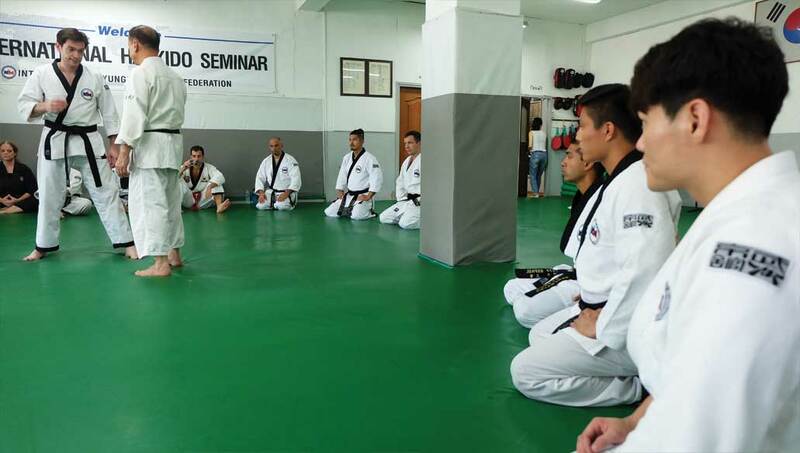 He began has Hapkido training in the 1950s, and is perhaps one of the very few second generation Hapkido Grandmasters actively teaching today. Do you offer rank promotions? The International Kyung Mu Hapkido Association is not interested in the business of selling ranks. We invite practitioners, black belts, and head instructors looking to further their Hapkido education to join our family. 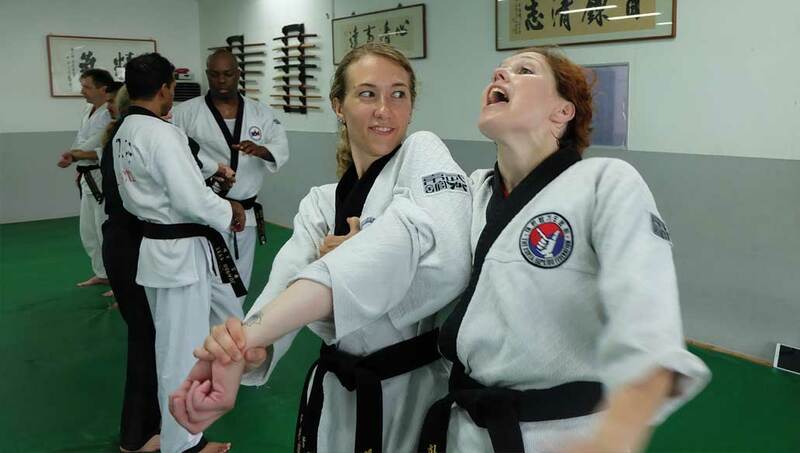 Dan rank promotions under the Kyung Mu Kwan banner are only offered through affiliates, and practitioners actively training in the Kyung Mu Kwan system. Are the videos and similar media available? Over the years we have produced a number of instructional material that may be found in our media section. We also have IOS and Adroid Apps for purchase the App store. More opportunities for virtual training and streaming instructional material with comtemporary technology is in development. Are there affiliate schools in my area? You can schedule a training trip with us at our Seoul HQ or train at one of our international affiliates. Please note that only martial arts schools listed on this site area accredited and recognized affiliates of the International Kyung Mu Hapkido Association. How can I contact you about joining? You can reach us to this website on through our facebook page. Yes we do. 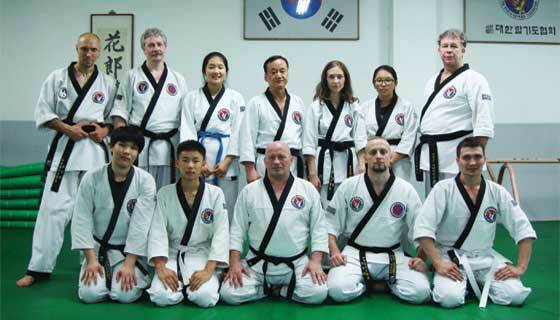 You can book group excursions to train at our Hapkido Seoul HQ under Grandmaster Kim. Please note that we do not provide Visa letters, accomodations, or hosting services for practitioners looking to train with us. Always consult with your country’s imigration requirements and the Korean Consulate for Visa information. We are happy to provide suggestions for accomodations close by the school. Contact us to learn more about KM Hapkido. We will reply via email and open up a conversation.